Tooth loss can be devastating. It’s not just the gaps in your smile but the impact on your self-esteem and confidence that can be difficult to deal with. You have several options to fix your smile, including bridges and dentures. But when you’re looking for a solution that can permanently restore your smile and have you eating your favorite foods again, we think that dental implants are the answer you’ve been looking for. Dental implants are a popular choice at Santa Clarita Advanced Dentistry, and we’re going to share the three reasons why they might be the ideal solution for you, too. While only the crown is visible, it’s the titanium implant surgically placed into your jaw that makes it such a good option. Titanium is a strong medical-grade material that’s much more resilient than your natural teeth, meaning wear and tear is less damaging, and the implant will last for decades. Aesthetically, the crown part of the implant looks no different than real teeth. We can choose a shade that closely matches the natural color of your existing teeth. We may recommend professional tooth whitening to ensure the color is to your liking before we fit implants to ensure a consistently white smile. Dental implants are designed to last for a long time, around 25 years or more when cared for properly. Although the implants are highly resilient and secure, the overall hygiene of your mouth and surrounding teeth can affect their lifespan. According to the American Association of Oral and Maxillofacial Surgeons, dental implants have up to a 95% success rate. 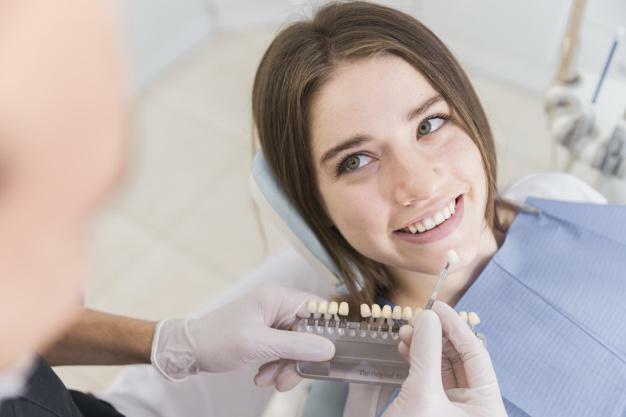 At Santa Clarita Advanced Dentistry, we’re experienced at fitting dental implants and have found few issues with the surgical procedure or long-term effects. Some people may not be good candidates for implant surgery, such as those suffering from diabetes or undergoing chemotherapy, but we can assess your suitability during your consultation and can discuss the range of options available to you. As long as you brush and floss regularly and get regular checkups, you’ll find that your implants will last a long time without the need for replacement. One of the best reasons for choosing dental implants is that they can keep your jawbone healthy and actually promote healing. The titanium implant embeds itself into your jaw after surgical placement, stimulating the natural bone replacement cycle, which is disrupted following tooth loss. In a healthy jawbone, new tissue is continually being created to replace the old tissue and keep the structure surrounding the implant post strong and working as it should. Your teeth roots send signals to your jaw to make this new tissue, so when you lose a tooth, new bone tissue isn’t created, and your jawbone can quickly lose bone density. Dental implants are the best way to maintain your youthful looks while promoting good jaw health and provide a permanent solution for your tooth loss. To find out more, book an appointment with us at Santa Clarita Advanced Dentistry today by clicking the book online button.